On Monday I mentioned that I like stocking up on back to school supplies for decorating my home. 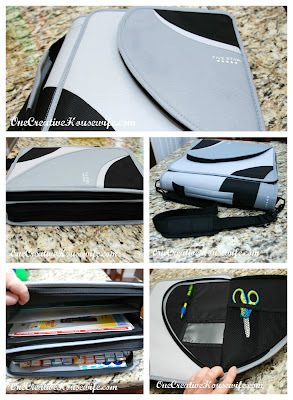 Binders are one of the things I like to pick up during back to school season. 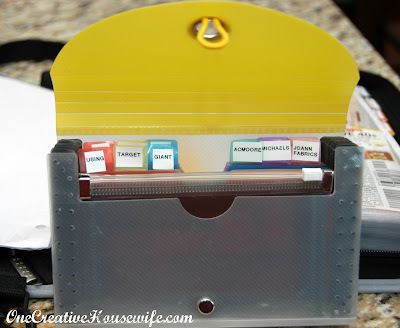 I use binders for making recipe books, organizing instruction manuals, tracking our budget, and so much more. One binder I use every week without fail is my coupon binder. 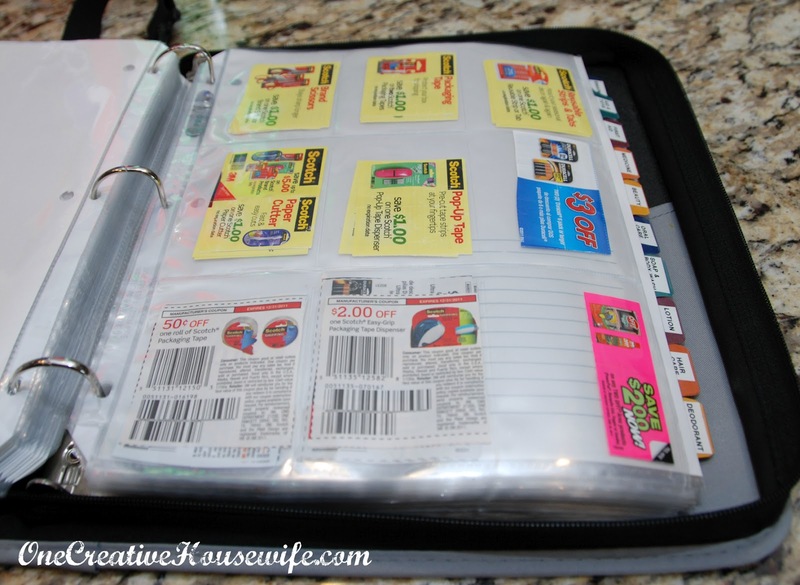 The binder I found that works best for coupons is a Five Star binder. The reason I like it so much is because it zips closed, has a shoulder strap and a handle, and extra pockets. I use the extra pockets to hold current rebates, large coupons (like Bed Bath & Beyond / large mailers from Csoco), or coupon inserts I haven't had a chance to cut the coupons out of yet. I also carry a pair of scissors and a pen. 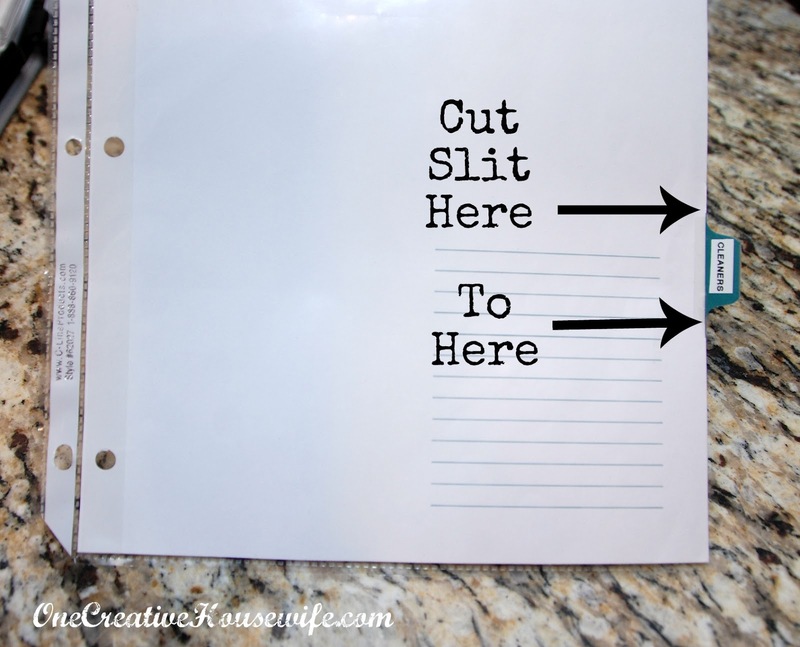 I created a directory for my binder in word, printed it out on cardstock and placed it in a page protector*. There is really no right or wrong way to do this. You could break it down by isle if you shop at one store regularly, or just random categories like I did. I chose to use categories because I use my coupons at multiple stores every week. I then used my label maker* to create labels* for each of the tabs of my tabbed page dividers*. When I placed the page dividers in the binder the tabs where not visible, because tabs where equal with the page protectors. To remedy this, I placed the page dividers in page protectors and cut a small slit in the page protector for each tab. The slit was just large enough for the tab. I did not cut the entire length of the page protector. I organize the coupons in baseball card protectors*. Sometimes I have to fold a coupon to get it to fit into a spot. I just try not to fold the barcode when I fold it. To avoid having to constantly open the binder and search for coupon as I walk through the store, I pull coupons I plan on using when I look at the sale flyers and make my list. 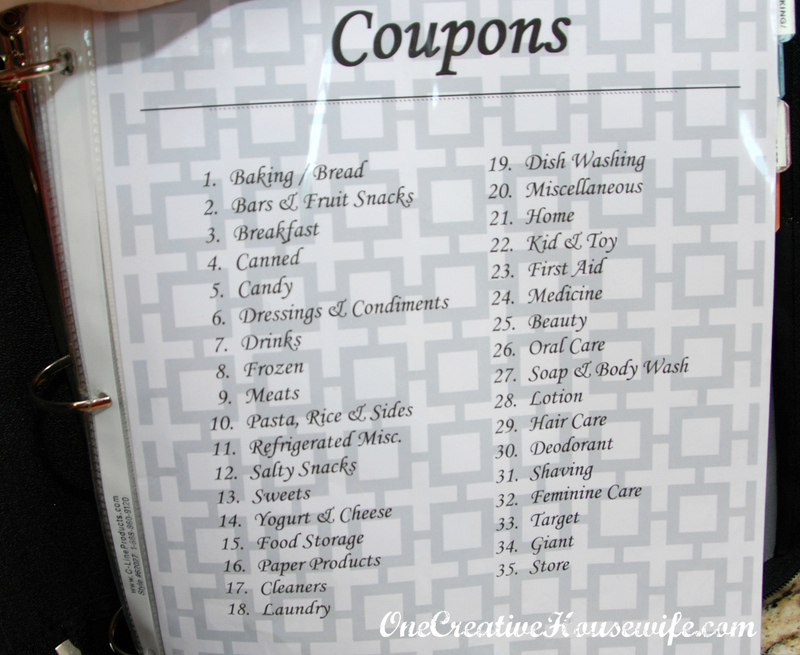 I place the coupons I pull in a tiny coupon book* I keep in my purse that is labeled by store. I do take the binder with me into the store when I go in. Just in case I find an unadvertised special, and need a coupon I didn't pull. Plus you can always check a manufacture's website for current coupons and rebates. 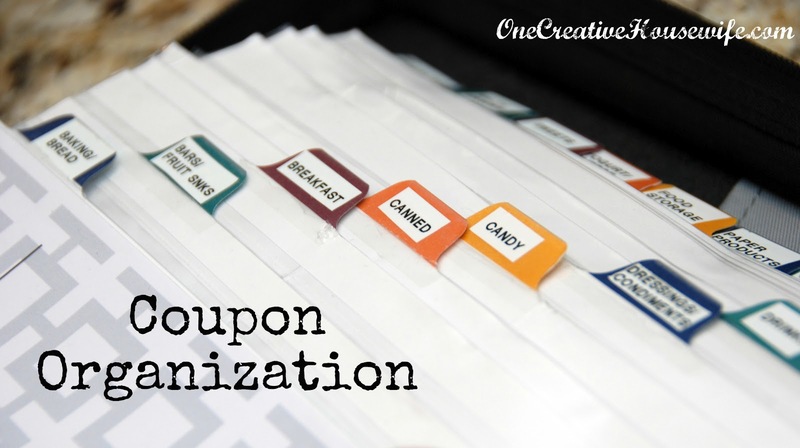 This is such a smart idea for organizing all those coupons, Andrea--I will have to try to implement some of your techniques. I am not anywhere near that organized! Thank you for sharing them with us, and thank you for stopping by my blog and leaving a nice comment! 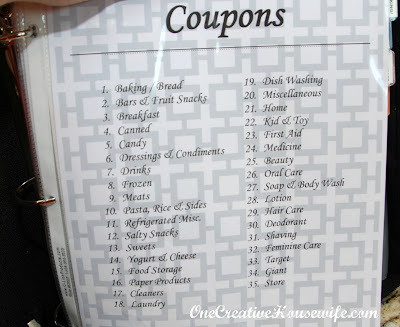 I organize my coupons very similarly. I am thinking of changing over to just clipping the inserts when I get the coupons though. Have you ever done that? I wonder how it compares to the binder system. I'm not 100% sure what you mean. Do you mean not clipping the coupons and keeping all the inserts until you need the coupon? That just seems hard to me, but I've never tried it.